from the 1st to the 3rd grade. 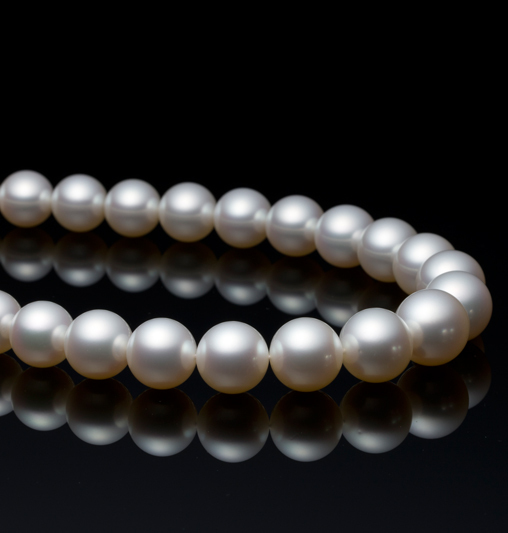 such as luster, thickness of the pearl layers and lack of blemishes. 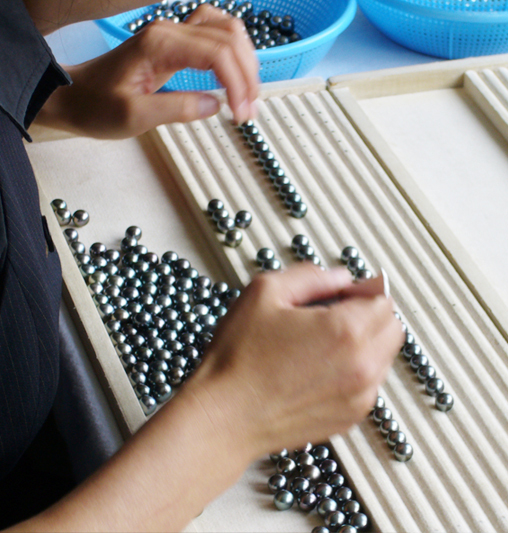 Shimonada　especially for 8-9mm pearls and Tsushima for 6-7mm pearls. 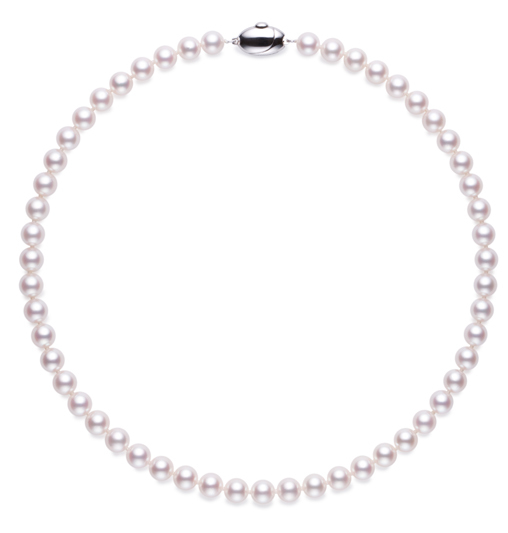 The pearl necklace has a unique evaluation factor, called “Uniformity.”Uniformity refers to how every piece of pearl used in a single necklace has to have similar characteristics,such as color, luster, blemishes and size in comparison to the others in order to keep a perfect balance. 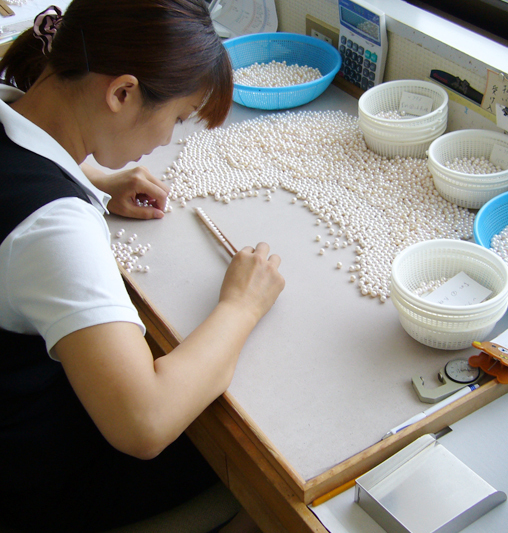 Among all pearls that Tokyo Pearl buys during a year, only 60% can become necklaces. and therefore we will never allow ourselves to compromise it.